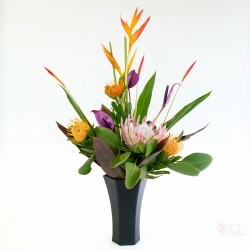 Categories: Hawaiian Gift Baskets, Hawaiian Gifts and Gift Baskets, Specials. 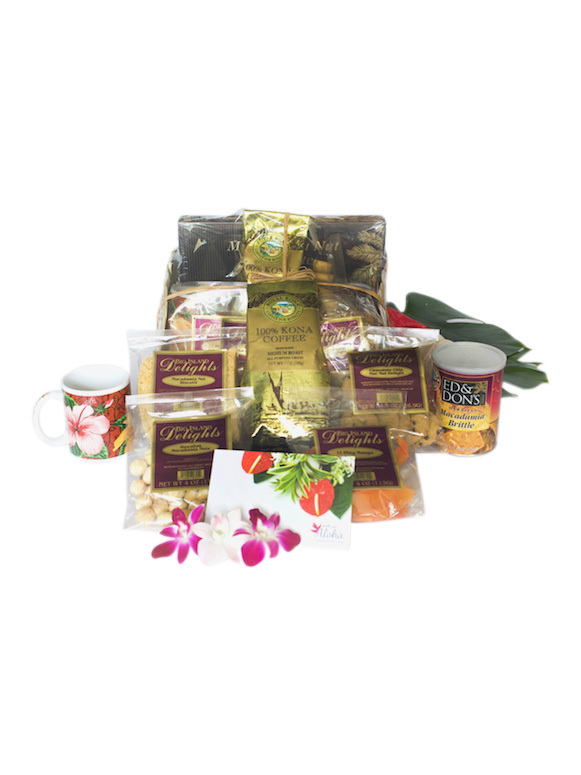 A Hawaiian gift basket with all of our best treats! We’ve included all of the essential local favorites in this impressive basket. We wrap it all in a natural lauhala basket tied with craft raffia. 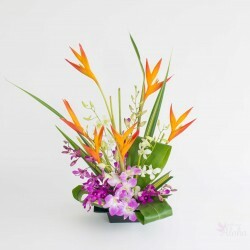 Or choose a tropical theme print gift bag. This gift basket is also available for free delivery to Waikiki hotels. 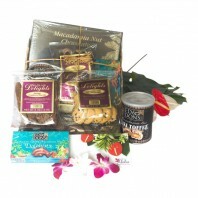 This is our favorite Hawaiian gift basket since it has a generous offering of all our best local products. The cookies, mac nuts and mango come from our favorite family bakery in Hilo. The mac nut brittle is another family confection popular here for many years. 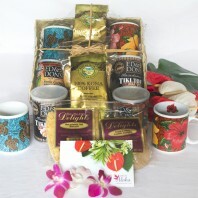 We also add 100% Kona coffee as a special part of your gift. Many shops sell ‘Kona’ coffee that contains only 10% Hawaiian coffee. This selection is 100% Kona from farms on the Big Island. Any coffee lover will find it to be a treat. The printed mug will remind your special ones of your gift for years to come. 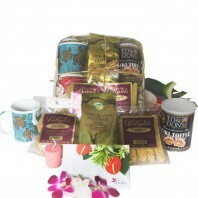 Choose this gift basket as a birthday or thank you gift. 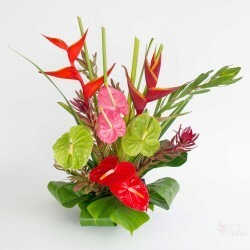 It is also popular as a Hawaiian Christmas gift whether as a personal or a corporate present. Kahuna refers to a Hawaiian priest or sorcerer but has come to mean an expert in any field and is considered a title of honor.